Elsie M. Starkey was born on 13 May 1884 at Ohio, USA.1 She married Charles Whiston on 9 July 1909; Gilda Haddox has marriage date as 10 Jul 1909. Goldie Starkey was born in September 1896 at Ohio, USA.1,2,3 She married George Hart in 1920.2 Her married name was Hart. Margaret Starkey was born on 10 November 1888 at Ohio, USA.1 As of after 10 November 1888, Margaret Starkey also went by the name of Maggie.2 She married Lois Theis in 1908.3 Her married name was Theis. William Starkey was born on 11 November 1857 at Rinard's Mill, Washington, Ohio, USA.1,2 He married Elizabeth Denbow, daughter of Thomas Denbow and Anna Mary McVey, on 17 January 1884 at Ohio, USA; Some sources give 21 Feb 1883 as marriage date, but this may have been to obscure that her first child was born just a few months after the marriage.3 William Starkey died on 11 September 1943 at Washington, Ohio, USA, at age 85. He was buried on 11 September 1943; Valley Cemetery,Washington,Ohio,USA. Catherine Steak was born on 18 April 1811 at Chambersburg, Franklin, Pennsylvania, USA. She was also known as Catherine Wentz. She died on 4 January 1886 at Bucyrus, Crawford, Ohio, USA, at age 74. (?) Stella was born in 1897. She married John Marvin Denbow, son of Jessie Denbow and Nancy Roggers, in 1920 at Scott, Missouri, USA. Her married name was Stella Denbow. (?) Stella died in 1993 at Manila, Arizona, USA. Mary Stevens was born on 24 August 1779. She married Samuel Williams, son of Samuel Williams and Triphena Lyman, on 17 May 1807. Her married name was Williams. Mary Stevens died in 1825 at Warwick, Franklin, Massachusetts, USA. Clarence Stimpert was born in 1901 at Monroe, Ohio, USA. He married Blanche Denbow, daughter of William Evan Denbow and Elsie Gardner, in 1921 at Monroe, Ohio, USA. Caroline Stokes married James Graham.1 Her married name was Graham. Irwin Maurice Straight was born in 1900 at Antioch, Monroe, Ohio, USA. He was School Teacher. He was buried at Antioch, Monroe, Ohio, USA. Elizabeth Stratton was born circa 1618. She married Robert Williams circa 1638. Her married name was Williams. Elizabeth Stratton died between 28 July 1673 and 1674 at Roxbury, Suffolk, Massachusetts, USA. Edith Sutton was born on 30 November 1911. She Reference: Knowledge by husband, Claude Denbow. Her married name was Denbow. She died on 5 December 1989 at Navarro, Texas, USA, at age 78. She was buried at Navarro, Texas, USA. Bud Reid Swan was born on 30 April 1906. He married Shirley Kronin on 17 April 1934. Bud Reid Swan Occupation: Motel Owner Places of Residence: Lake George andZansvoort, New York. He died in April 1991. Clifford Leroy Swan was born on 7 January 1908. He was (an unknown value) at Prudential Insurance Agent.1 He married Almeda E. Guthrie on 30 May 1926. Clifford Leroy Swan lived at DuBois, Clearfield, Pennsylvania, USA.1 Susan Sharp's notes: Religious Affiliation: Presbyterian Obituary: Newspaper clipping in the possession of Jean Reid Edwards. Name and date of paper are cut off. CLIFFORD SWAN REYNOLDSVILLE-- Clifford Leroy Swan, age 82, died Wednesday in Jefferson Manor, Brookville. He was a native of Reynoldsville and a retired agent for Prudential Company. 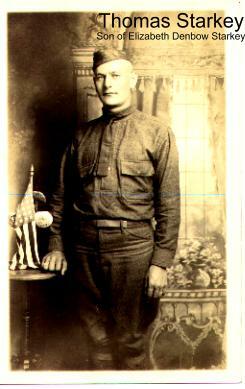 Born January 7, 1908 in Reynoldville, he was a son of Horace Swan and Nellie Reid. He formerly resided in the DuBois area and was Presbyterian by religious faith. Surviving are two daughters, Mrs. Ronald (Barbara) Wilson of Dubois and Mrs. Andrew (Beverly) Wilson of Bakerstown, Pa; a son, Donald E. Swan of Sykesville; five grandchildren and three great-grandchildren; a sister, Mrs. Ruth Shrigley of Mansfield, Ohio; a brother, Bud Swan of Zansvoort, New York. He was preceded in death by his parents, one son, and one brother. Obituary: Newspaper clipping in the possession of Jean Reid Edwards. Date and name of paper are cut off. DEATH NOTICES - SWAN: Clifford L., of Jefferson Manor, died March 21, 1990. Friends will be received Friday, 7-9 p.m., at the Robert J. Zepfel Funeral Home in Reynoldsville where the service will be held Saturday at 11 a.m., the Rev. Steven J. Hendrickson officiating. Burial will be in Reynoldsville Cemetery.1 He died on 21 March 1990 at Jefferson, Pennsylvania, USA, at age 82. He was buried on 24 March 1990 at Jefferson, Pennsylvania, USA. Clifford Leroy Swan was born on 9 September 1928. He died on 1 September 1942 at age 13. Horace Crebs Swan was born on 24 October 1876. She married Nellie Reid, son of David Reid and Ruth Simpson, on 24 June 1902. Horace Crebs Swan Information on the Swan family was given to me by Jean Reid Edwardsand was compiled for her by Clifford Leroy Swan. Occupation: HoraceCrebs Swan was a trolley motorman on the Punxsy/ Reynoldsville route. Her married name was Reid. William Warren Swan was born on 11 June 1904. He Occupation: Pipecoverer Places of Residence: Elmira, New YorkReligious Affiliation: Methodist. He died on 14 March 1964 at age 59. He was buried at New York, USA. George D. Sweet was born on 11 February 1870. Isaac C. Sweet married Mary Bobo, daughter of Nehemiah G. Bobo and Nancy Wood, on 14 September 1861 at Meigs, Ohio, USA. Isaac M. Sweet was born on 4 May 1864. Lula May Sweet married Christopher Denbow, son of John Denbow and Jane Miller, on 29 March 1891. Her married name was Denbow. Mary K. Sweet was born on 23 July 1866.